Jon Daniel has created a logo for Neville Lawrence, father of murdered teenager Stephen Lawrence. 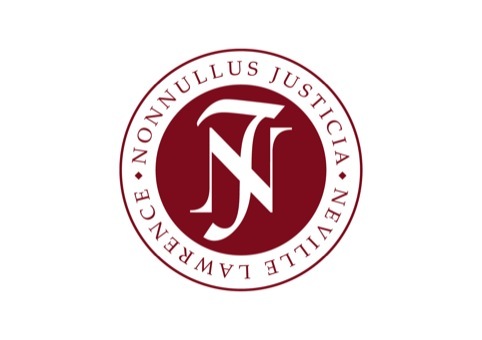 The logo features the phrase Nonnullus Justicia (Latin for Some Justice) and the letters NJ. It can also be inverted to show Neville Lawrence and NL. Daniel started working with Neville Lawrence earlier this year, following the convictions of Gary Dobson and David Norris for Stephen’s murder. Daniel created an image relating to the convictions, which adapts a photograph of Stephen, placing Dobson and Norris behind the bars of his jumper. 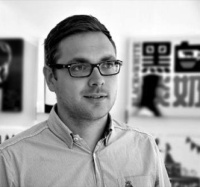 After the image became popular on Facebook, Daniel started working with Neville on several projects, including the creation of the new marque. 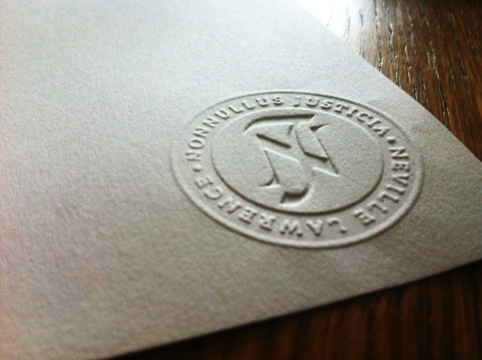 Daniel says the Latin name, Nonnullus Justicia, carries legal overtones, while the mark is also designed to look like a legal stamp.